Friend – a person whom one knows and with whom one has a bond of mutual affection, typically exclusive of sexual or family relations. Friend – a person who you like and enjoy being with. I sometimes envy other women when they share how they have been friends for 10, 20 or 30 years. I listen to them talk about their high school days or they share those years when they were both raising their families and the good times when the two families would get together for holidays or camping trips. Looking at my own life, I have moved around a lot. In the 12 years of grade and high school, I attended 10 different schools. In sixth grade, I was in three different schools. Growing up, I was always the new kid. The longest I have ever lived in a house is 16 years and that is the house I live in now. When people ask me where I am from, I am not certain how to answer. My “home town” – the place where my parents and their families are from is in southern Illinois. However, we moved from that town when I was ten and the only connection I have to that place is the graves of my parents. But when I take a second look at my life I realize I have been blessed with an abundance of friends. Looking at the definition of friends as “a person you like and enjoy being with” I recognize that moving around as I have – different communities, different schools, different churches, different jobs – I have been blessed with many people who I liked and enjoyed being with. There are, I have come to believe, seasons of friendship. People have come and gone in my life – not because our friendship ended but time and distance have made it hard to remain close. That does not negate the value of their friendship. Even the many friends in the past with whom I have lost contact remain in my mind with precious memories of our times together. Although there are even some whose last name I cannot recall, I remember their support and friendship at that season of my life and how valuable it was. And Facebook has been a blessing in that area as it has helped me connect again with many friends from the past. 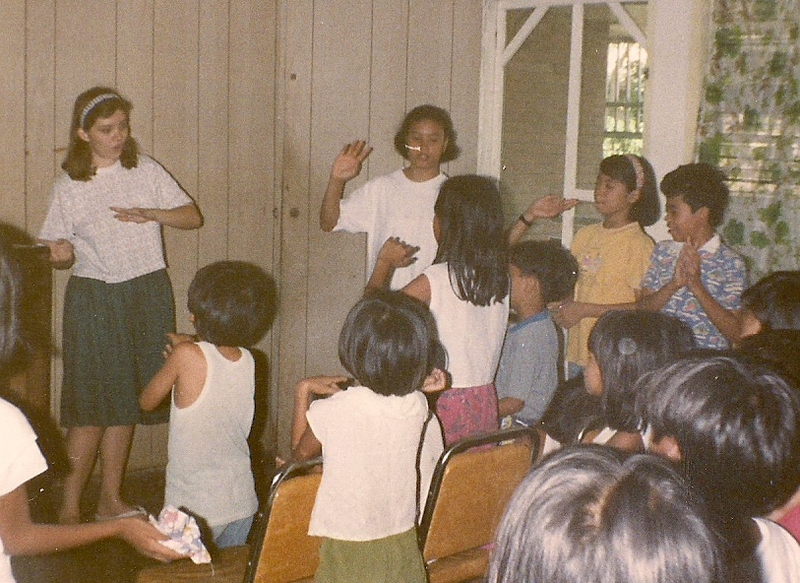 I was surprised and so happy when I got a message a few years ago from a woman in the Philippines asking if I was the same Barbara Lane who had taught a leadership class at their church years ago. We reconnected and I was able to encourage her as she went through a battle with cancer. There are my friends from fifth grade who took this shy new kid on the block and made my fifth grade year probably the best school year of my life. There are friends from Perryville, Missouri who supported me with such love after my husband was killed in a tragic accident. They offered food, they offered babysitting services. That first Thanksgiving I had so many invitations for Thanksgiving dinner from friends who knew I had no family in the area. They all offered their home if I would not be able to go home for the holiday. Friends from Iloilo City in the Philippines who helped me adjust to a different culture, different climate. Friends from work at the law firm of Bernard & Davidson who prayed with me and took on some of my work load when I lost a beloved step-father and brother in death just weeks apart and had a daughter in Texas with toxic shock syndrome. Friends from Mid-American Energy who took such care of me for over a year while I went through treatment for cancer. The day I came to work after finishing my last radiation treatment, they stood up from their desks and applauded me as I walked to my desk. I felt like an athlete making a victory lap. Friends from churches I have attended as a pastor’s kid, a lay person, a pastor’s wife and now a lay person again. With them I have laughed, cried, prayed and they have helped me grow in the Lord. Have all my friends proven true? No. There have been times when those I thought were friends have hurt me, disappointed me, even betrayed me. But I still reach out to make friends. To shut myself off from others because of a few hurts might spare future pain – but would certainly stop future joy! But the best friend I have ever had is my Lord Jesus Christ! All of my friends have been able to help me many times, but there are times when only the Lord could meet my need. I shared in a past blog about being all alone when I had radiation treatment. No friend could be with me then. But the Lord was. Coincidence or An Act of God? One of the old gospel songs says it best. If you need a friend, let me introduce you to the best friend who will ever have – Jesus Christ. The first few weeks were rough for her as she adjusted to no TV, no hot running water, no soft comfortable bed, and especially no friends. Adjusting to the public transportation was also a big hurdle for her. As Americans we don’t like our own personal space to be invaded, yet riding the public transportation system gave a new meaning to the concept of closeness. When the children in our neighborhood realized there was an American girl living at our house, they began showing up at our gate every morning. 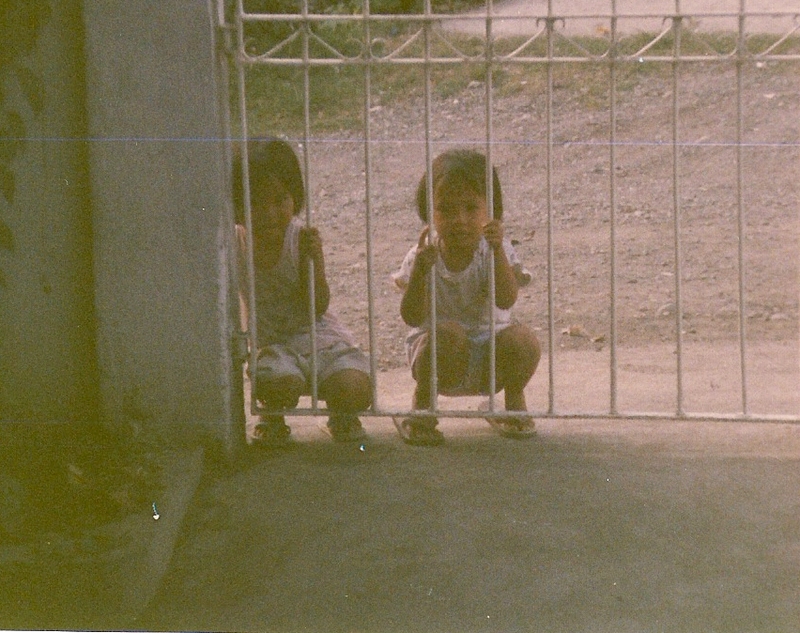 At first communication consisted mostly of smiles and giggles as the children would come to the gate and then run away when Jessica approached – only to come back and repeat it over and over. Slowly they stopped running away and Jessica began to try to talk to them. 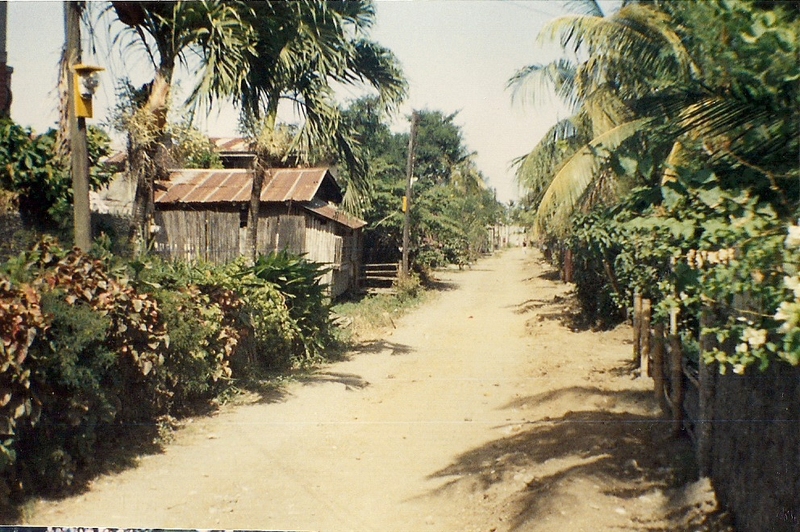 The younger children only spoke the local dialect, Ilonggo, but the older children knew English and soon she was able to communicate with them. Quickly she fell in love with these children with their bright smiles and beautiful eyes. She no longer was lonely for whenever she stepped outside our gate into the dirt street in front of our house, she was quickly surrounded by all the neighborhood children who followed her wherever she went. 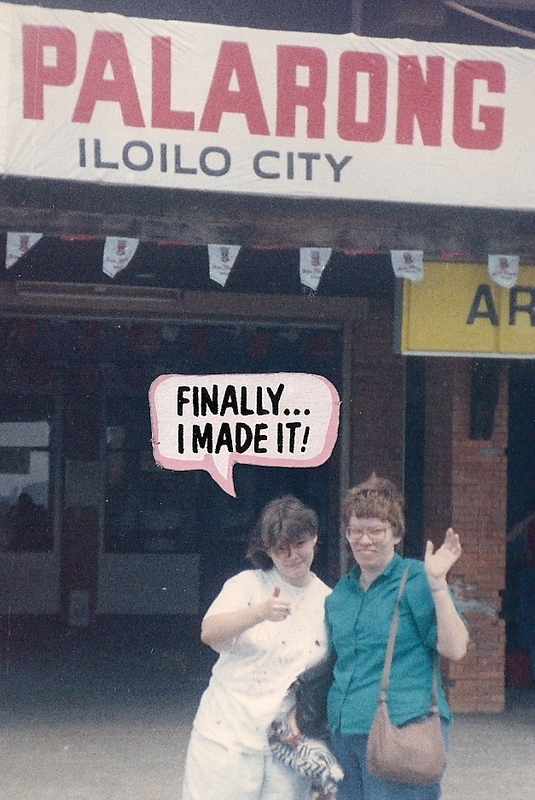 She taught them English and they, in turn, taught her Ilonggo. It became very obvious that she had a gift for reaching out to children even though they were different in culture, language and even skin color. She began a “Kids Klub” on Saturday mornings. Our home was filled with children as she taught them a song she had learned as a small child. While Saturday was the “official” day for the kids, every day some would show up at our front gate calling, “Tia, Tia!” Tia was the name for “Aunt” and Aunt she became to all the neighborhood children. 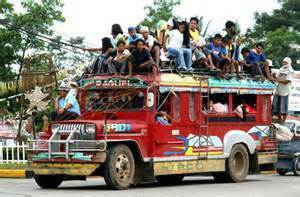 The other missionary children never left their home without a chaperone and their parents could not believe we let our daughter ride the public transportation by herself. But she was never really alone, because everywhere she went, the children went also. She was safer than the other missionary children because she was not considered an outsider, but one of the community. When the time came to return to the United States, our daughter did not want to come home. Her heart was with the children. The time spent in the Philippines opened her heart to the children, especially those who were less fortunate than she was. Organizing and running a weekly Kids Klub gave her experience that she began to use when she returned home. Years later, she continues to work with children, and continues to love them without regard to their culture, language or skin color. Uprooting my teenage daughter from her comfortable life and setting her down in a totally unfamiliar environment – far from being a traumatic and unsettling experience was perhaps one of the best experiences she has had in life. I wish every American teenager could spend a month in a country less fortunate than the USA – could see how much we have here – how little others have. In fact, I wish every American – adult as well as teenager – could experience life without all the luxuries we have.